Looks great! I wish they added IS though. You meant out some time in 2012 right? And the price is whoa. Must be way better in terms of optics compared to the first gen.
Huh? Of course the barrel will extend, just like the 24-105 IS. Only difference is it isn't a reverse zoom like the 24-70 Mk1. In fact, I wouldn't be surprised if it extended further than the original 24-70. Not to mention zoom creep all over the place, thus the reason for the zoom locking switch. 2,299.00 , is it for real? According to the MTF charts, its suppose to outperform the brick in all aspects IQ wise. We need to see some real independent samples naow!! True! Now, I ask myself, why would I buy a 2300 lens with zoom creep? The 24-105 creeped too, didn't it? I haven't touched that lens in over 3 years. The 24-105 does not creep normally. Although Canon loosened my zoom ring when I got it repaired so it would creep a little when walking. Just had them fix it like it was new though when I sent it in for CPS check/clean... No creep anymore. I think though, the 24-70 II may have more creep "issues" due to the weight of the glass in the extending barrel. It is probably difficult to make a zoom ring that is easy to turn and not allow creep in a lens design like this. The non-extending zooms (70-200's) are great designs, allowing different methods then extending models to prevent creep. I have the 24-70 and have not experienced lens creep at all. I carry the lens when using it, as I do not like using a strap. I did experience lens creep with my 70-300. No is. Oh well first page! My very first photo taken with the new lens. Nice picture. 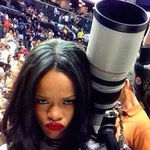 Want this lens, but no dough now ! Crops looks quite soft, but at that close near MFD the DOF is so tiny if you even breath it could be out of focus. Looking forward to more examples!